Share your Hunter Hayes playlist on Facebook with the hashtags: #GoSURF #Spotify. Contestants are entitled to multiple entries. Winners will be drawn at random on July 11th 6pm and contacted through http://facebook.com/globe.socialmedia. 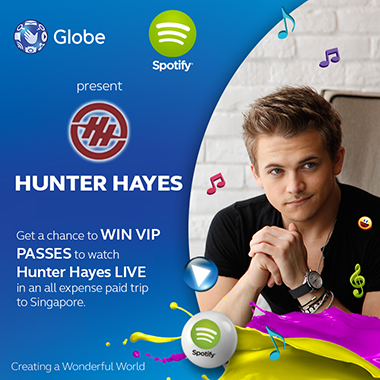 Visit Globe Telecom NOTE for full details and Globe Telecom FB Page for latest updates.